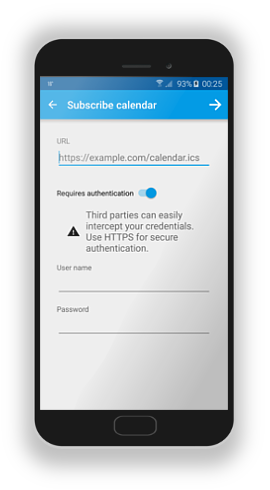 ICSx⁵ | ICSx⁵ is an Android app to subscribe to remote (Webcal) or local iCalendar files. 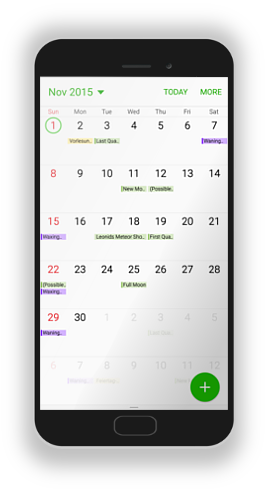 import it into a native read-only calendar, which then can be used with your favorite calendar app. 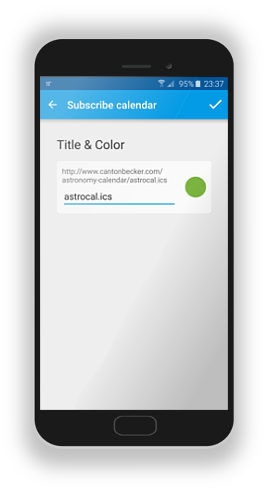 ICSx⁵ is designed to be an open-source project (GPLv3) from the very first beginning. 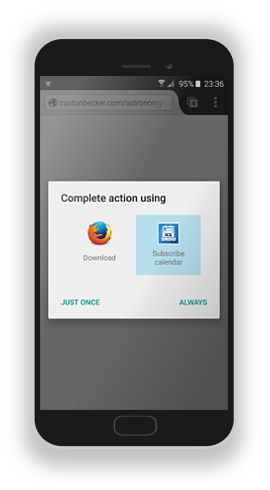 It is always possible to compile the app yourself and use it for free. 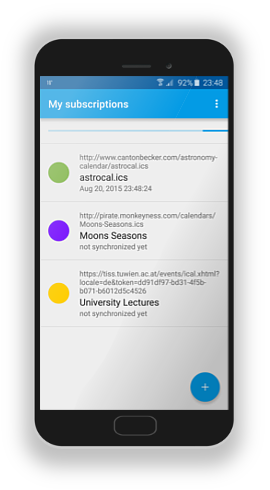 The source code is available, and you can download the app on F-Droid (note that we're not related to F-Droid and don't have any influence on it). However, it was and still is much work to create and maintain ICSx⁵, so we have decided to put it in commercial stores for a small fee. If you want to support this project, please consider donating to ICSx⁵ or purchasing it. 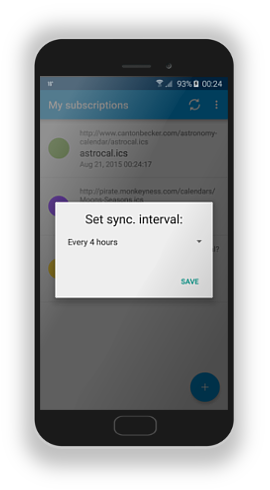 ICSx⁵ is an Android app to subscribe to remote (Webcal) or local iCalendar files. The ICSx⁵ Website is licensed under a Creative Commons Attribution-ShareAlike 4.0 International License. You can edit it on Gitlab! Please send merge requests to make it better.